Choosing the perfect wedding venue can be tough, but I'm a firm believer in picking a place that means a lot to both of you, to give your special day that extra wow-factor. A vineyard. Of course a vineyard. But you don't have to go oversees to find one with the a real presence. As well as some smaller vineyards that you can use as a setting for your wedding (such as Chilford Hall in Cambridgeshire and Highdown Vineyard in Sussex), there are some seriously special vineyard wedding venues, such as English Oak Vineyard in Dorset and Chapel Down in Kent. 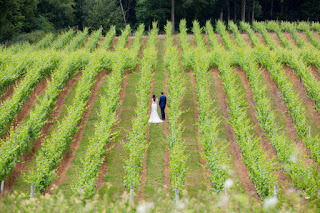 Denbies weddings is a spectacular, award-winning vineyard in Surrey, where not only can you get wed among the vines, but you can have your reception in the romantically-lit cellars. They have various wedding packages on offer, and you can contact them for more information through the link above. Or, hop over the county border to Sussex, to Bluebell Vineyard. 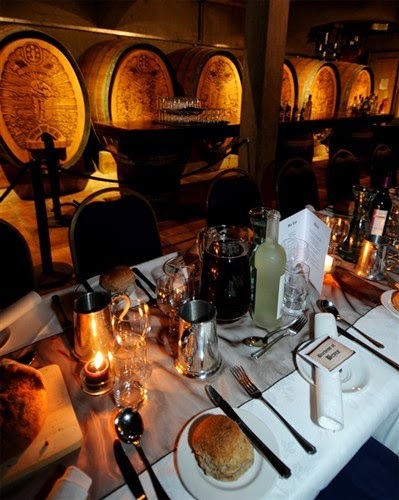 Their entire range of Hindleap sparkling wines are award-winners, vintage, estate bottled, and really delicious. The winery terrace overlooking the vines is perfect for a drinks reception, or there's the option of a fully-lined marquee or more rustic barn. 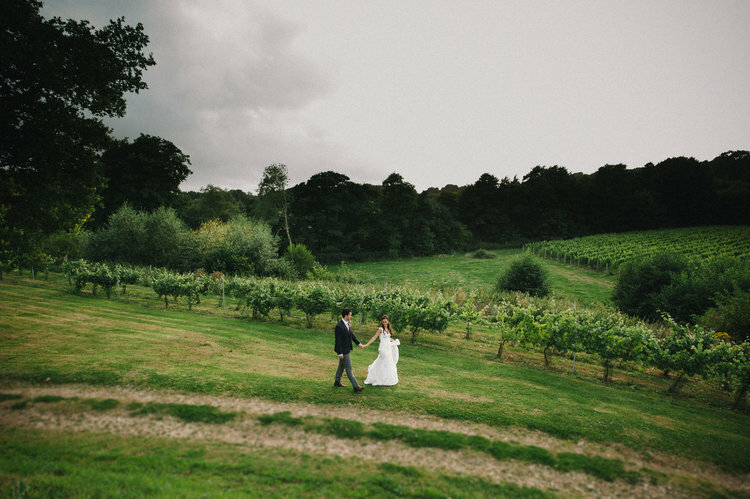 The whole venue feels really peaceful and calming, with the vines and surrounding woodland making for some gorgeous photo backdrops. The marquee can hold more than 120, and up to 180 guests. There are contact emails and numbers available on their website. Shepherd's Neame in Faversham, Kent, where you can get married - among other places - in the brewhouse amongst the coppers and mash tuns, under the light of stained glass windows. Wow. Bateman's in Lincolnshire. We've featured their beers before, but we also LOVE this sixth generation family-run brewery's attention to detail when it comes to weddings. The venue is lined with the largest bottle beer and poster collection in the country (pictured) and it's wonderful. The Tap Room at Hilden Brewery, Northern Ireland - a pretty, low-key venue with its own beers on offer for guests, and a gorgeous restaurant providing a mouthwatering wedding menu. 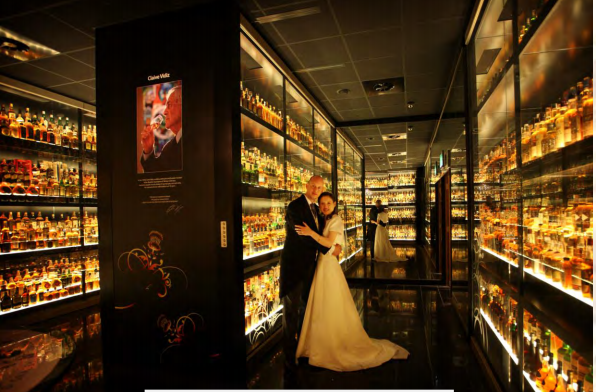 Arguably the most popular whisky venue for weddings is the Glengoyne distillery, near Glasgow - especially in the winter, which of often a tough time for wedding wannabes. Imagine it - the guests can relax in front of the fire with a dram of amber nectar, and even if it's cold, the windswept beauty of Scotland will shine through in the photographs. If you don't believe me, have a google for wedding photos from the venue - they're magical. For gin fans, you could do a lot worse than the Plymouth Gin distillery. 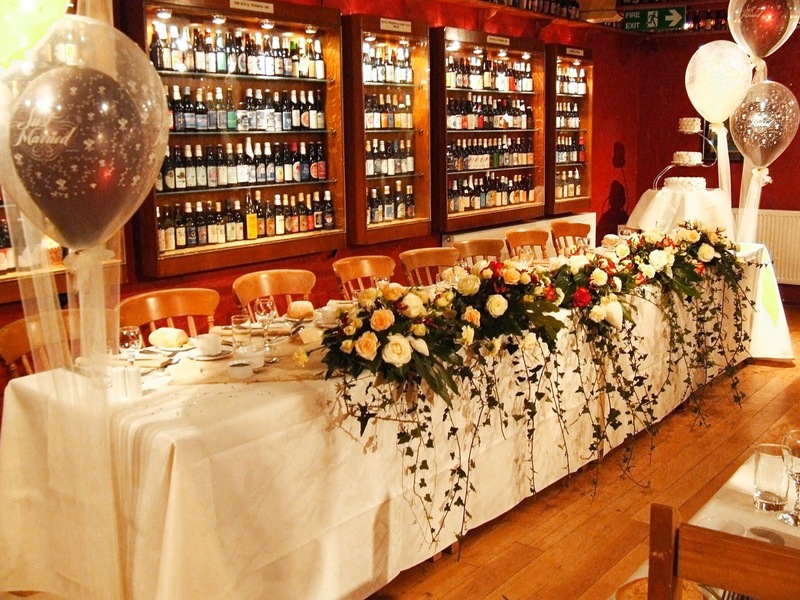 It's one of the best-known gin brands in the UK and welcomes wedding enquiries. If your nearest distillery doesn't have details about weddings on their website, get in touch. They're probably more likely to want to cater to bespoke clients, so it's worth asking what they can offer. Where would you most like to get married, booze fans? The National Brewery centre in Burton should be on your list. Great venue, excellent food, friendly staff and great setting with lots of photo opportunities for beer lovers! Variety of wedding venues to go for. These are really awesome wedding venues to check out. I have visited many and different wedding venue in liverpooland every venue was special in itself as the main attraction of a venue is decoration. Thanks for sharing this blog with us. we hired jason at accel in line with the recommendation of our wedding consultant as wel as the location. these people supplied the camping tent, party area, lights, and self-serve buffet tables, along with other assorted rentals for the outdoor wedding. these were really receptive as wel as assisted us with deciding what items we needed and the layout of our front desk. Most of people like Destination wedding, i am also in them. thanks for sharing these all wonderful images with us.